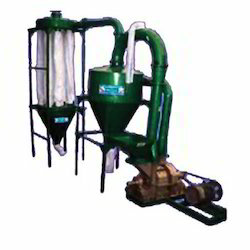 Manufacturer of a wide range of products which include impact pulverizer machine, spice pulverizer, pulper machine, s s impact pulverizer, impact pulverizer and pulverizers. Our modern infrastructure equipped with advanced equipment, helps us to manufacture and supply Impact Pulverizer. This machine is used in metallurgical industry for crushing tough metal parts and particles. We manufacture this machine using high quality materials like cast iron and mild steel. To provide a defect free range, we check this machine on construction and performance parameters. 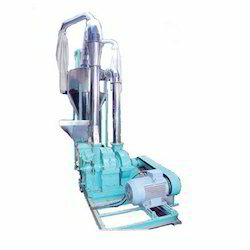 We offer this Impact Pulverizer at pocket friendly prices. 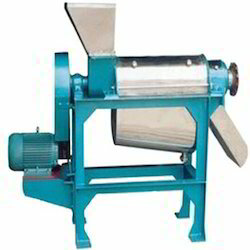 We have gained expertise in manufacturing and supplying supreme quality Impact Pulverizer. We manufacture these machines to comply with the international standards and the demands of our customers. Premium quality components are obtained from the authorized vendors of the market to manufacture these machines. These machines are widely demanded in the market for their high performance, durability and quality finish. We examine the Impact Pulverizer before delivery to offer our customers with quality products. With the assistance of our skilled and experienced workforce, we have been able to offer premium quality Spice Pulverizer at nominal market prices. 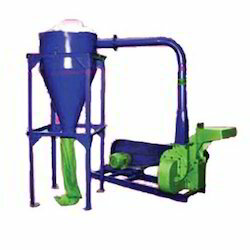 These pulverizers are manufactured in comply with the international standards using finest quality raw materials. The pulverizers, we offer are known among the clients for their simple functionality, corrosion resistance, optimum performance and hassle-free operation. 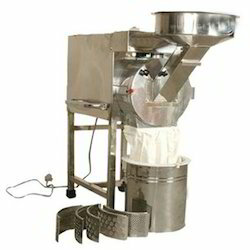 Our offered pulverizers are demanded in various flour mills and spice processing plants. 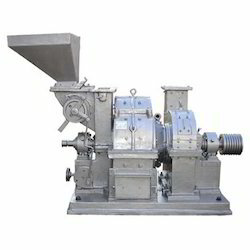 Having rich experience and thorough understanding of the market operations, we are engaged in manufacturing and supplying a quality range of Pulper Machine This machine is used for crushed tough materials in metallurgical industry. We manufacture this machine using best quality materials like stainless steel and mild steel. Clients can obtain this Pulper Machine in different technical specifications from us as per their requirements. We have a highly advanced infrastructure that supports us in manufacturing and exporting S S Impact Pulveriser. At our sound production unit, we manufacture this machine using best quality cast iron and mild steel. This machine is mainly used for crushing waste materials. We make this S S Impact Pulveriser available for clients in different technical specifications as per their requirements. Moreover, we offer this machine at cost effective prices. A professionally managed company engaged in manufacturing a wide range of S S Impact Pulveriser that can be used for crushing all types of items, including glass, aluminum, concrete, plastic, coal, rock, resin, tires, and medical waste. These machines have many special features which enhance the demand in the markets that are high performance, low power consumption, silent operation, sturdy construction, low maintenance, high efficiency and environment-friendly. Our client can get easily these machine from the markets at very reasonable prices. Driven by excellence, we are involved in offering Pulverizer Machine. These are widely known for its durability and quality. We have a well equipped production loaded with advanced technology machines and tools, enabling us to manufacture and supply a quality range of Pulveriser. This machine is manufactured with the help of our diligent workforce using best quality cast iron and stainless steel. In metallurgical industry, this machine is used for crushing and grinding different materials. We check this Pulveriser on construction and efficiency parameters to provide a defect free range to clients. A well established name in the Indian market, we are engaged in offering Micro Pulveriser. These is manufactured from best raw materials. The main body of the grinding chamber whizzer chamber and the blower are made of heavy duty cast iron every portion which comes in contact with the materials is lined with heavy duty steel plates. We also provide customized Double Drive Pulveriser as per our client requirement. It can be catered at very reasonable prices from the markets to our valued customers.